Bumgarner Winery focuses on premium varetals from the Sierra Foothills. Some of the world's finest grapes are grown right here in El Dorado County. Varietals such as Tempranillo that thrive in the warmth of the day, with cooling mountain breezes at night, make for ideal growing conditions. Our Estate Vineyard is located in the Fair Play AVA atop a giant granite monolith at 2750' elevation. Surrounded by vineyards and amazing views, and boasting the Holland series soil type. 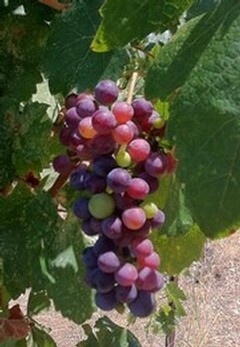 The Duarte Vineyard in Georgetown produce Bordeaux varietals ranging from Pinot Noir to Cabernet Sauvignon. Brian hand selects the clones for our wines to insure a product we are proud of. The Las Lomas Vineyard is located just outside of Placerville. The vineyard ranges from 2,100- 2,300 in elevation. Some of the most exceptional Tempranillo and Barbera come from this Vineyard.